The price of vacancy in the high-tech manufacturing industry is staggering, and while companies recognize this is a problem, the true cost has become such a part of the status quo that it is often overlooked. We talk extensively about the “skills gap” facing manufacturing. The problem is this only partially true. Yes, there's a deficit in our skilled trades pipeline, and as employers, educators, and communities, we need to rally around the value of skilled trades, and support the growth of this critical workforce - starting in junior high and beyond. Yet, there's another gap that mid-market manufacturing is facing - The Strategic Gap - and it has many facets. 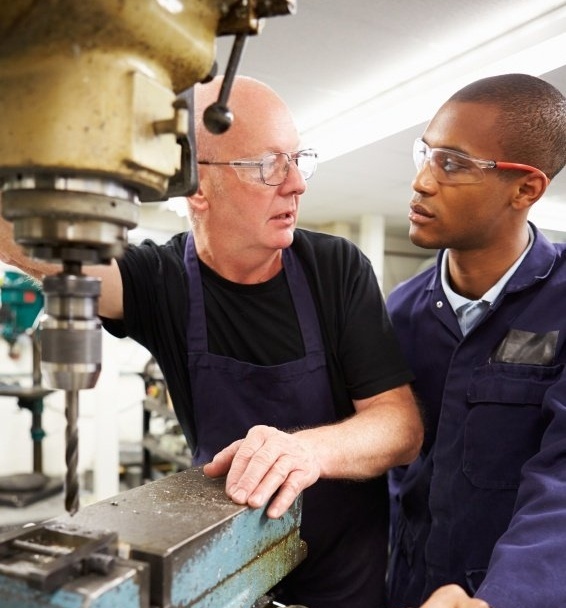 A positive perception of manufacturing is critical for the future success of an organization's talent recruitment, development, and overall industry advancement. Craig Giffi and Michelle Drew Rodriguez, manufacturing experts from Deloitte, share the latest on advancing the image of manufacturing in celebration of MFG Day in America. With more than 500,000 unfilled manufacturing jobs in the United States in recent years, much has been hypothesized and written about the cause(s). If we consider the words of Warren Buffet, who in 2013 told Fortune Magazine that America has built our prosperity using only 50% of our talent and left an entire gender out of the equation for most of our history, we see that a solution is very much within our reach. But balancing the gender equation and bringing more women into manufacturing doesn’t require the same approach as increasing the ranks of men. Let’s look at an example (or three) from my Alma Mater. In 2016, Dartmouth’s Thayer School of Engineering was the first US national research university to graduate an undergraduate class of engineers that was more than 50% female. Compare this to the national average that has yet to break 20%. But gender parity didn’t happen for Thayer overnight and it certainly didn’t happen without intentional cultural changes. I believe Thayer’s successes could be those of America’s shop floors as well. A large amount of industrial maintenance technicians are approaching retirement age – taking with them invaluable knowledge and experience. Today’s workforce entrants often have high school level vocational training and apprenticeship programs are nearly non-existent. All too often, employers try to fill this void with computer-based learning that focuses merely on craft skills. But hands-on practice is required to develop hands-on skills. 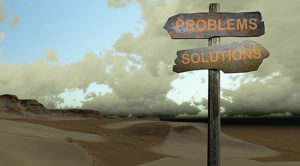 Additionally, tradespeople need to understand more than basic craft skills; they need to be expert problem solvers with process knowledge specific to their companies. How do employers close the skills gap? Manufacturing is one of the most lucrative industries in the U.S. and there are about 251,857 manufacturing firms currently in the United States. Due to migration patterns, language and cultural diversity are becoming a theme in the majority of the workplaces. The manufacturing industry is one of the most diversified sectors of economy with a vast number of immigrant workers. 12% or 23.8 million immigrants work in the manufacturing industry. These workers have either no knowledge or very limited proficiency in English. The number of non-English speakers in the US has grown considerably in the last few years due to the influx of immigration levels that continue to increase drastically based on the Census Bureau. Foreign-born workforce is becoming a vital part of the US economy, especially in the manufacturing sector. National Census data shows that there are nearly 64.7 million U.S. residents who speak a language other than English at home; that makes about 21.5% of the total U.S. population. Approximately 46% of immigrant workers are considered limited English proficiency (LEP). 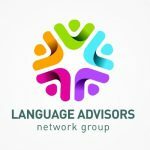 Over the last two decades the types of jobs available for workers with limited English proficiency have changed. Many U.S. manufacturing jobs that used to be performed from LEP employees have now been outsourced. Creating a skilled workforce for the needs of automation today and in the future is vital for the competitive future of Illinois. 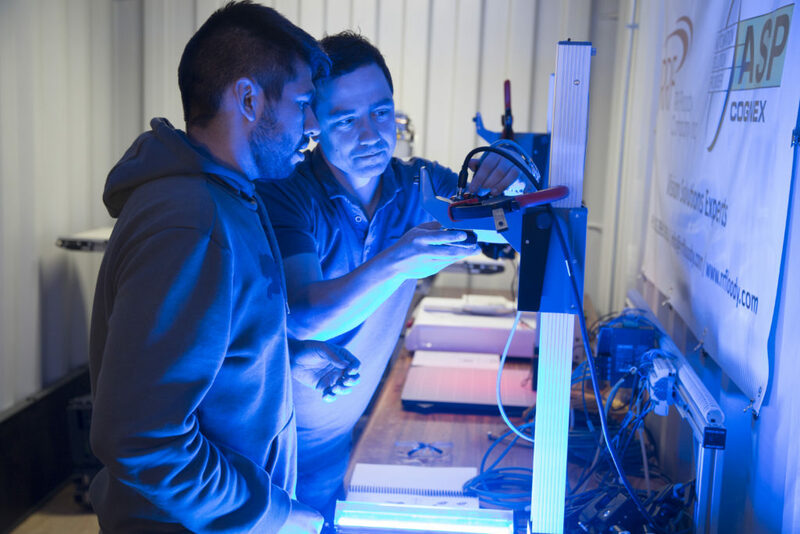 That’s why IMEC recently partnered with ISA (International Society of Automation) to deliver a five day course for participants in Decatur, Illinois. 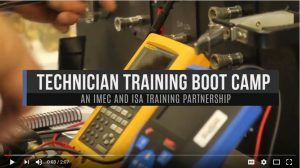 The “Technician Training Boot Camp” offered an intensive, hands-on training environment focused on industrial measurement and control technologies. Watch the video to learn more! Getting more women into STEM careers will require a partnership among parents, educational institutions, government, industry and organizations.